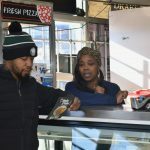 Danicha Brown and Vishalla Davis opened Shake N’ Bake American Soul Kitchen inside Hibo Foods. 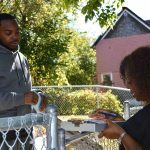 U.S. Rep. Gwen Moore, State Sen. LaTonya Johnson and State Rep. David Crowley, along with other black leaders, led a community engagement canvass in the Amani neighborhood on the North Side. Victory Garden Initiative is building about 500 garden beds for Milwaukee residents and businesses in a two-week period. 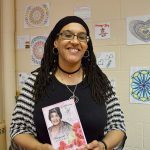 Jendora Kelley, a local poet and community culture leader at Carmen High School, shares spoken word poetry at community events as a way to encourage positive change in Milwaukee. 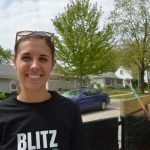 Nichole Logan volunteered to help the Victory Garden Initiative build gardens because she believes they will help low-income Milwaukee residents eat healthier. 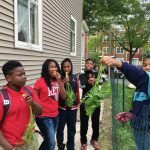 A documentary about the Young Farmers program run by Groundwork Milwaukee details the benefits to students and their impact on the Metcalfe Park neighborhood. 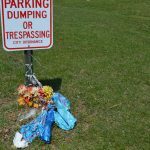 In some city neighborhoods roadside memorials are put up to honor individuals who died suddenly. 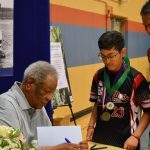 North Side residents interviewed about the memorials agreed that they see too many. 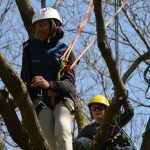 Milwaukee Academy of Science and City on a Hill Youth Center students recently had the opportunity to learn about tree science by climbing trees and watching professional arborists work on them. 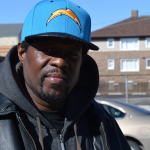 Concordia resident Tyrice Baskin thinks the streets of Milwaukee should be repaired so they cause less damage to residents’ vehicles.